3. Add the tofu and stir. 4. Add turmeric powder, salt and pepper powder. 5. Cook till the tofu firms up and heated through. Note: You can add chopped tomatoes or capsicum, if desired. 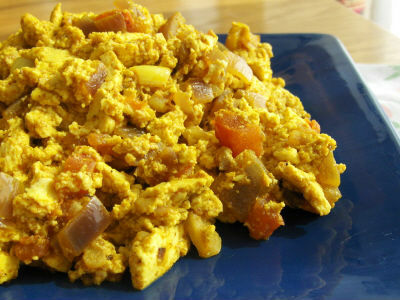 Feel free to comment or share your thoughts on this Scrambled Tofu Recipe from Awesome Cuisine.